We humans tend to get in our own way time and time again - whether it comes to not speaking up for ourselves, going back to bad romantic partners, our umpteenth diet, or engaging in any of a range of bad habits we just can’t seem to shake. In Rewire, renowned psychotherapist Richard O’Connor, PhD, reveals why our bad habits die so hard. We have two brains - one a thoughtful, conscious, deliberative self, and the other an automatic self that does most of the work without our attention. Perception is the foundation of human experience, but few of us understand why we see what we do, much less how. By revealing the startling truths about the brain and its perceptions, Beau Lotto shows that the next big innovation is not a new technology: It is a new way of seeing. In his first major book, Lotto draws on over two decades of pioneering research to explain that our brain didn't evolve to see the world accurately. It can't! You're not alone. Stress is an inherent aspect of life that can have tremendous negative effects on your mental and physical health. This makes coping with stress a critical part of how well we live. Once you understand the inner workings of your stress response system, you'll possess powerful knowledge that will help you understand and better deal with this common aspect of your busy life. 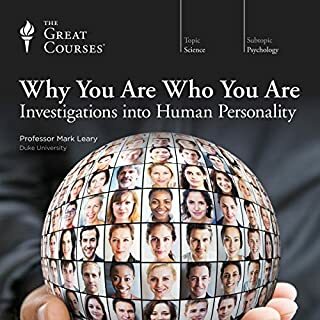 Now, from one of the world's foremost researchers on stress and neurobiology, comes a fascinating series of 24 lectures that guide you through the psychological and psychosocial stress that is a central part of everyday life in Western society. You'll learn how the stress-response system is actually a natural survival system-giving, for example, a zebra the best chance to escape from a pursuing lion - that can change from a safety mechanism into a real problem for our physical and mental well-being. You'll see it coming into play against situations it wasn't designed to combat, such as traffic, troublesome thoughts and memories, and concerns over the economy, environment, and international events. And you'll gain valuable insights into how and why stress can affect every part of your body-including your cardiovascular, digestive, and immune systems - and learn about its relationship to important disorders and behaviors, like depression, anxiety, and even addiction. The first 2/3rds of this were depressing, down to earth, and contained examples and information from studies to back up the point....but there were moments of humor now and then to lighten the tone also. This takes a good look at stress and how stress impacts many things, as well as many types of things which generate stress. Using many points of information, a pattern begins to emerge, which allows the listener to know what types of things will cause what types of mental responses, and what types of physical responses follow. To really enjoy this and make use of it, it may be helpful to pause after this book and just let it all soak in. I liked this quite a lot. Thank you! It was so good I will have to listen to it again! Would you consider the audio edition of Stress and Your Body to be better than the print version? Don't know, but I personally prefer audio books... So I would guess yes. The way in which science was explained in stories. What about Professor Robert Sapolsky’s performance did you like? Amazing reader, loved his tone and funny jokes. Really couldn't image this being read by anyone else. The information on stress and PFC function and stress and socio-economic status. Very moving. I am a neuroscientist looking at the influence of psycho social stress on various systems in the body. I admit that this book was nerd heaven for me, but could see how the layman may find the information overwhelming. Very disappointed that 90% of the content in these lectures comes straight from his book Why Zebras Don't Get Ulcers. I was expecting to hear the same subjects discussed however as the book was written 20 years before these lectures I has hoping for new updated research and content. Unfortunately it is mostly just a regurgitation of the book, including the same jokes and anecdotes. I would recommend either these lectures or his book but not both. Informative and enteraining, but not very helpful. I would certainly recommend this book to anybody interested in, or dealing with, stress, anxiety or depression. The course is very informative, and Dr. Sapolsky is an excellent communicator and educator. My only complaint is that, after listening to the first 22 lectures I was hopeful that the last 2 would provide more help and advice on how to deal with, or manage, stress. Dr. Sapolsky provides us with an excellent review of the current understanding about the impact of stress on the body. But, sadly, it there seem to be few known, reliable, ways of coping with stress. Exercise might help, meditation might help, but I found the course a little light on other potential strategies. Would you be willing to try another book from The Great Courses and Robert Sapolsky ? Why or why not? This is my 3rd Great Course, and my 1st from Robert Sapolsky. 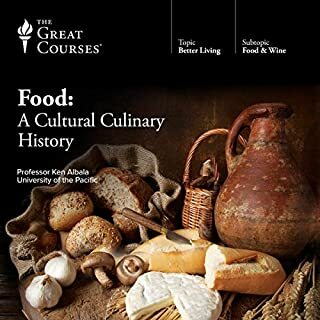 I am very grateful that Audible gives us well-priced access to these exceptional learning resources. I had just finished Robert Sapolsky's "Why Zebras Don't Get Ulcers" when I started this. Honestly, after the zebra book, I would have skipped this one had I not already purchased it. However, this one turned out to be quite a bit better. There is a lot more attention given to the brain and brain processes in response to stress, and there is more meat and less fluff in this one. I will, however, reiterate what I said about the zebra book. DON'T READ THIS IF YOU'RE STRESSED!. 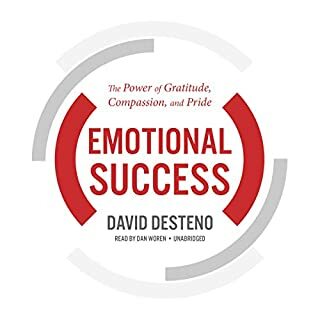 Once again, the author, himself, cautions, after he's read most of the book, that if you aren't stressed by that point, you haven't been listening. And once again, there isn't that much about stress relief. The author was a decent narrator, but not stellar. I listened to it at 2x or 3x. The material was interesting and logical in its presentation, but I thought it went on about certain points for too long. Overall, this is a good primer about what happens when you get stressed, and there some material here for dealing with it. 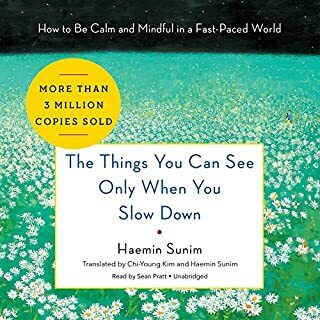 I could recommend this for someone with a scientific interest in stress or psychology, but there are better books about stress relief and coping methods. Would you listen to Stress and Your Body again? Why? Not only is stress a persistent feature of our lives, but learning about the systems of our bodies it affects also means we learn more about who we are and why we do what we do. What other book might you compare Stress and Your Body to and why? The other lecture series the teaching company has done with Sapolsky, all of them excellent and entertaining. An eclectic and witty character gives a unique and memorable performance. You wouldn't expect to find humor in a lecture series on stress, but regular comic relief on Sapolsky's part enlivens the experience. His emphasis on the perils and consequences of coping strategies that make the problem worse, despite best intentions. Victim blaming, and assuming control where none is to be found can have profound psychological consequences... and those facts hit hard hard if you recall a memory where you've done this, like I did. Read his memior, and find his talks on youtube, for more of this really interesting guy. I am taking a stress management course in college and this goes along with the course so well! I loved the lecturer was able to bring humor into a topic which can seem dull to many. Overall I would suggest this stop anyone wanting a perspective on what stress does to individuals and an introduction to awareness needed for stress management. A very good listen. Makes me not feel guilty about not wanting to do yoga, or the eliptical...still need to find that excercise I want to do. Excellent Information very much worth considering. There's still a lot we have to observe and learn. An absolute must listen, a fabulous delivery. This is a complete review of stress and how it affects our bodies. It is very comprehensive and detailed, which I enjoyed. I would recommend it to those interested in life sciences. Where does Stress and Your Body rank among all the audiobooks you’ve listened to so far? This is one of the best non-fiction audiobooks I have ever downloaded. Robert Sapolsky has studied stress for a very long time, but manages to make it easy to understand for the lay person, and really draws you into the subject. It is absolutely fascinating. I confess I do also own the actual book and didn't manage to finish it because it was hard going, but this audio presentation was perfect because he really brings the subject alive. I couldn't stop listening. A word of warning - this audiobook is exactly what the title says - the effects of stress on your body, which it explains in great detail. It does not go into a great deal of depth on how to cope with the various stressors in your own life, you pretty much have to work that out for yourself (or buy a different book). Brilliant, nonetheless. I loved it. The contents are broken down into 20-30 minute sections which allows me the time to do a low computational task (walk, drive) while listening to a section. The level of understanding before the book is minimal and the outcome very informative! Thus style of book is both convenient and easy on the brain. Profound life wisdom that goes beyond the biology of stress. Pr. Sapolsky is also a great narrator which makes listening very enjoyable. Highly recommended. Sapolsky is your dream lecturer. Sapolsky is your dream lecturer. Fiercely intelligent, and so passionate, with a gift for communicating effectively. This course is methodically put together, and is cognitively challenging, but also extremely useful for understanding how to avoid and deal with stress. What made the experience of listening to Stress and Your Body the most enjoyable? Sapolsky's narrating and performing style. Great content, full of insights and interesting stories and tips. Loved it. Highly recommend it. I strongly recommend this great course by professor Robert Sapolsky of Stanford. I'm glad that he himself has narrated the audiobook. got this audibook as it sounded interesting. it was great! learnt alot and the lecturers enthusiasm was awesome. Great listen! I want to live in his beard! 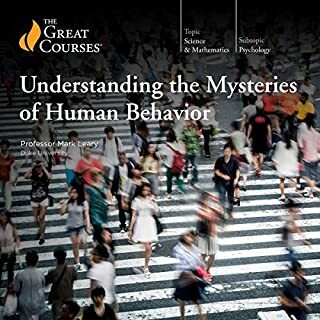 Robber Sapolsky is a great teacher and this course is required listening for any person who wants to understand how the human body works in relation to stress. They should cover this in school, it’s so important. 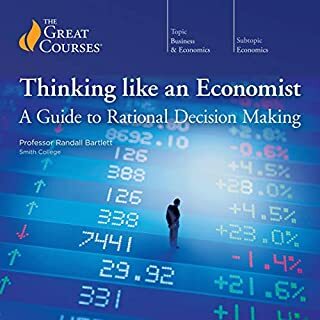 Amazing book that covers everything in sections that make sense. easy to understand and follow. This is the pinnacle book on Stress and your body. Highly recommended. extremely informative and brilliantly presented. loved listening to this from the beginning to the end. Wonderfully entertaining and will probably listen to this a few times.